These Online Athlete Location Forms were developed based on the organizations established offline process to enable U.S. athletes to submit their whereabouts information to USADA [The United States Anti-Doping Agency]. These intuitive forms were broken into a well architected online process which allows athletes to quickly, easily, and securely submit their information from anywhere in the world. 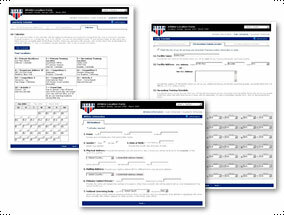 These online forms also allow staff to easily manage the data leading to overall business efficiency.